Saltash.net students delivered a number of outstanding performances at a charity event this past Sunday, wowing those in attendance and raising valuable funds. 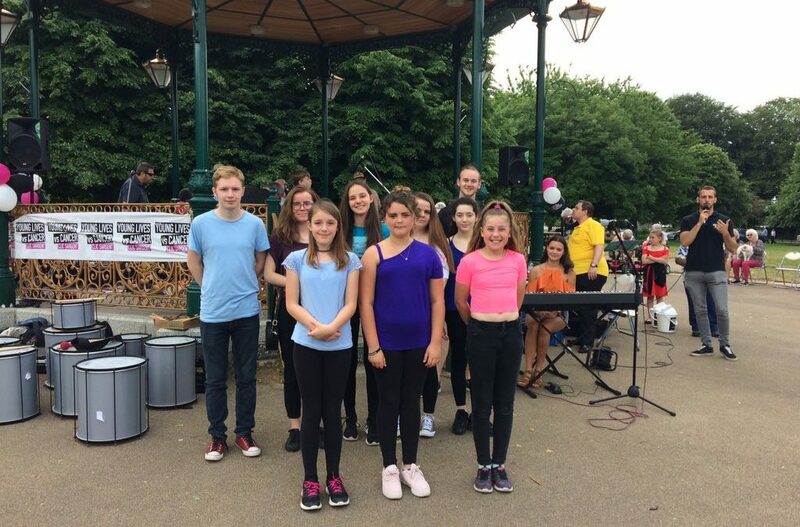 The concert, held in Devonport Park in Plymouth, raised money for CLIC Sargent, a charity that supports children and young adults who are suffering from cancer or leukaemia. The saltash.net choir kicked off the event with ‘When I Grow Up’ from Matilda the Musical, including soloists Amy Snook and Matilda Stockley from Year 7 and Chloe Lynch from Year 12. The choir was followed by Sixth Former Maisie Glazebrook, delivering an incredible performance of her own song composition, during which the audience sat in awed silence. Our youngest musician, Amelia Writer, delivered a tremendous rendition of Adele’s ‘Someone Like You’. Amelia’s voice makes her sound older than her 11 years! Amelia was followed by a succession of Sixth Formers, including Callum Hillson’s stunning acoustic cover, and Tommy Williams’ and Chloe Lynch’s fantastic musical theatre pieces. 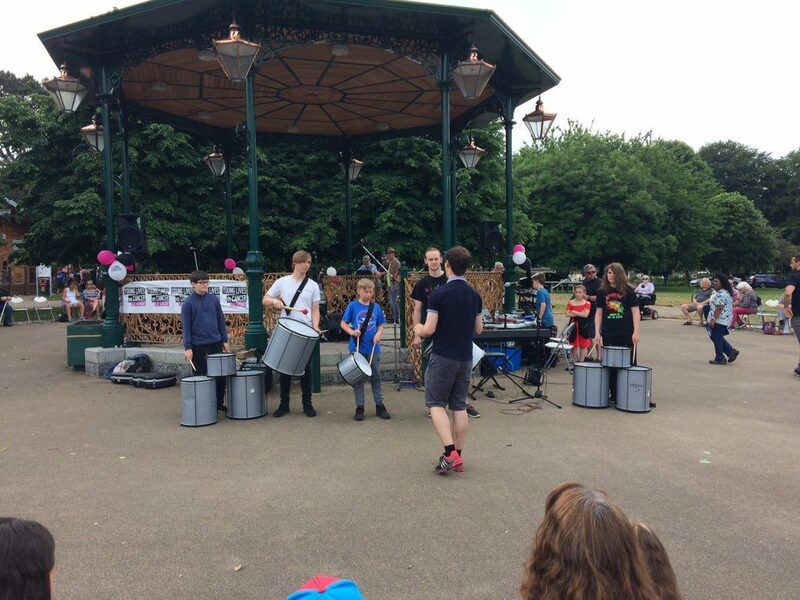 To close our set, Sixth Former Harry Pascoe led his team of percussionists through a selection of rhythms that definitely drew in a crowd! Mrs Venner was thoroughly impressed with the students who took to the stage. “The students were professional and outstanding ambassadors for the school throughout. I want to say a huge thank you to all that took part, for taking time out of your weekend to rehearse and perform,” she said. These fantastic musicians will be appearing in saltash.net’s summer concert on 11 July at 7pm in the Main Hall – please come along and see the terrific talent we have here at school!